Finally we are in Kumamoto city! 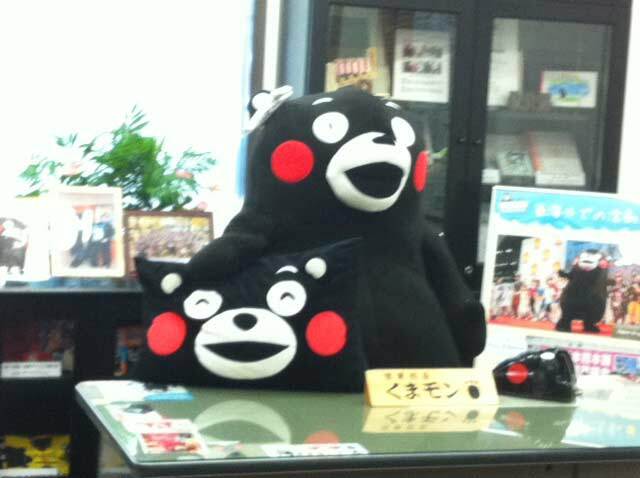 Last year Kumamoto city won the mascot contest with their mascot Kumamon which is a very cute bear and we went to see him! He was very happy to meet us and danced a lot of dances including the famous Kumamon dance that he is famous for. In spite of the connection with the host families in Omuta, everybody was exited to meet their new host families and performing the Arigato Event for them the next day in order to thank them for hosting us. The Arigato Event went fine and we made the host families happy. To get a better understanding of Kumamoto city we also visited the director of the tourism department. 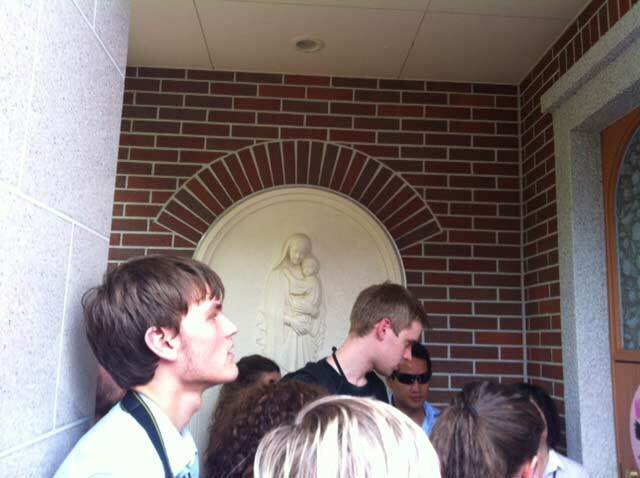 He told us about the Japanese culture in Kumamoto including the education system and the public health. 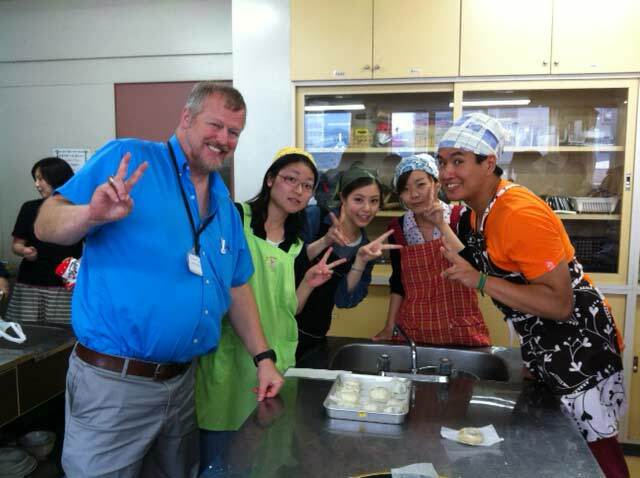 During in our stay in Kumamoto we also interacted with the student and staff at the YMCA. The speaker Mr. “Pumbkin”, yes he said that we could call him that, directed through the day were we made a special dessert with the students of the YMCA and it was so much fun! 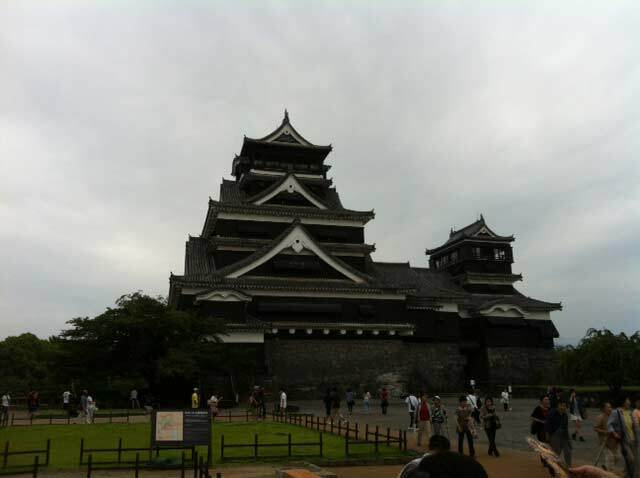 On host family day I went to Kumamoto castle with my host dad and Caroline from Sweden that I was staying with and it was very beautiful. A Famous Samurai called Miyamoto Musashi fought one of his many battles here which made the experience more exciting for me. 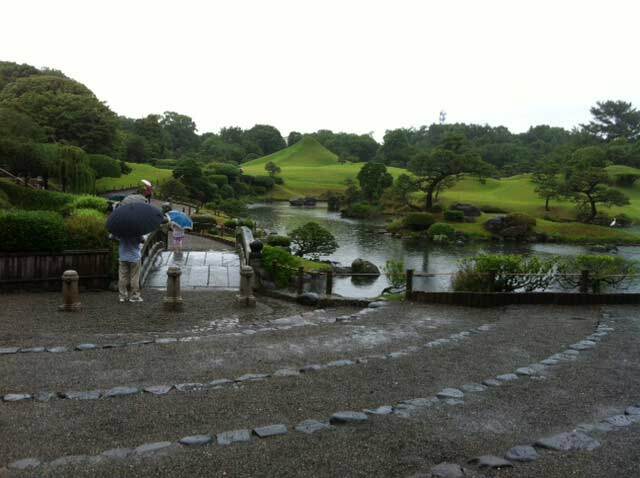 We also vent to visit a very famous garden in Kumamoto with a lot of shrines that were very beautiful. 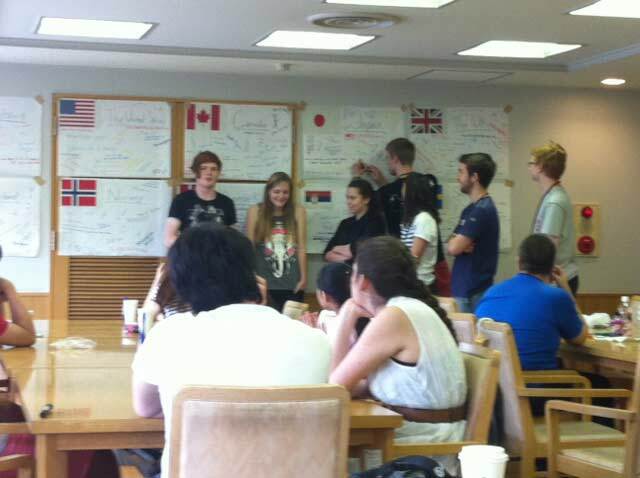 On our last day we interacted with some of the university students of Kumamoto Prefectual University which was very fun because one of the things that we did was to play a game were you would have one paper for each represented country in our group and each person wrote what they associated with that country. After wards the persons would take the paper representing their own countries and say whether the things that were written on them were true or false. When we leave Kumamoto I will take experiences with me that will last for a lifetime. I will always look back and remember the good times I had with WCI in Kumamoto and I already want to go back.